At Expertcuts we love meeting new people! Introduce us to a friend who hasn’t experienced our salon yet, we’ll treat them to 30% OFF their first Cut & Style! 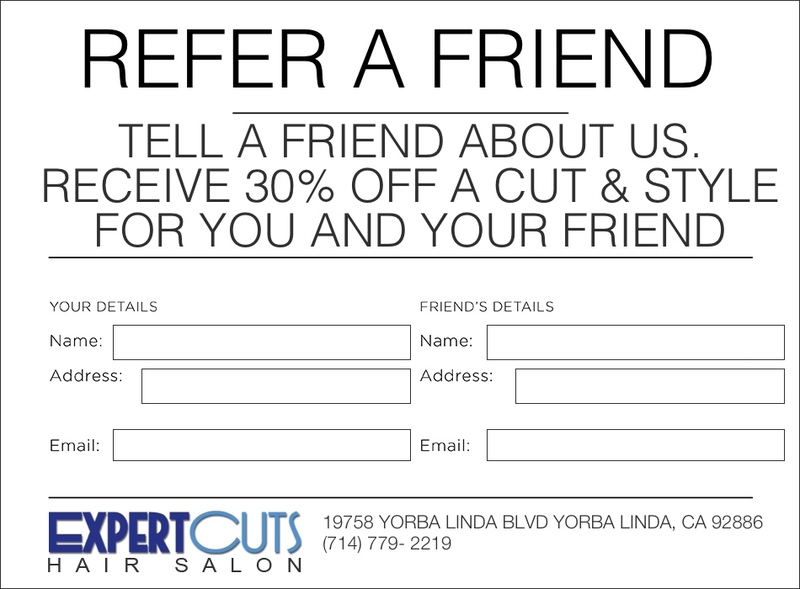 As a big thank you for sharing the love, you will also receive 30% OFF your next Cut & Style! Just PRINT the form below, fill in your details and your friend’s details and to ensure that you both get the discount make sure that your friend gives the voucher to their stylist at checkout time … Easy!